Before packing up camp in Yellowstone this morning I met a young couple who reminded me greatly of ourselves fifteen years ago. Peter and Molly, self-professed camping newbies are at the beginning of a six week road trip to celebrate their taking the Bar Exam. They have no reservations and only a little idea of what awaits them. I wish them well (and also told them something an older couple told Corey and I at the beginning of our first trip; at the end of their trip they will either not be speaking or never be apart again. I am hoping and betting on the latter). 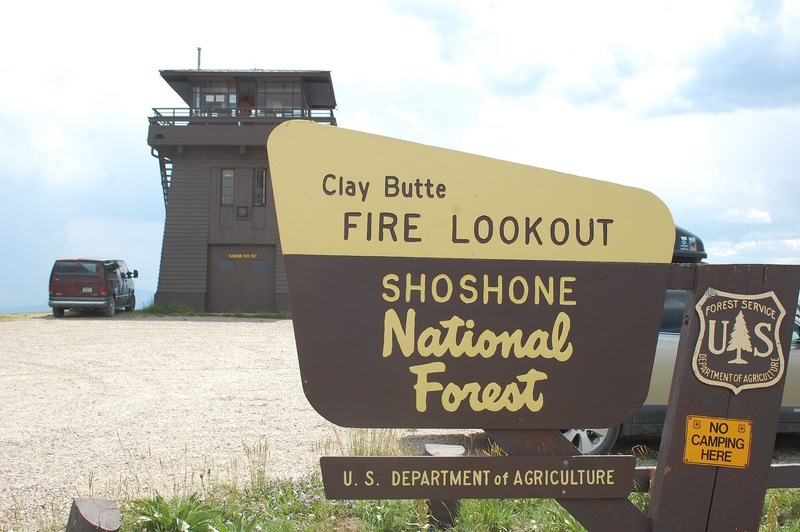 For Cool Thing #30 I present the Clay Butte Fire Tower which can be found on the Bear Tooth Highway. The legendary news man Charles Kuralt repeatedly called this stretch the most beautiful drive in America. He may be right as the road repeatedly delivers images usually seen only after a long, upwards hike. Just when the scenery was getting really good, we came across a pictograph of a sign that pointed us to the tower. Ten minutes of windy, graveled, and climbing road later (not to mention many blind turns) we arrived at the tower. Retired in the mid-70s, the tower now is operated by volunteers on a weekly basis who live on sight in a small apartment and give tours to people like us during the daytime. The current occupants told of grizzlies seen through binoculars and how the watchmen worked the tower before being replaced by helicopters. They also gave a quick geography lesson which accentuated the fact that the mountaintops used to be on a sea floor many, many years ago. Whoa. 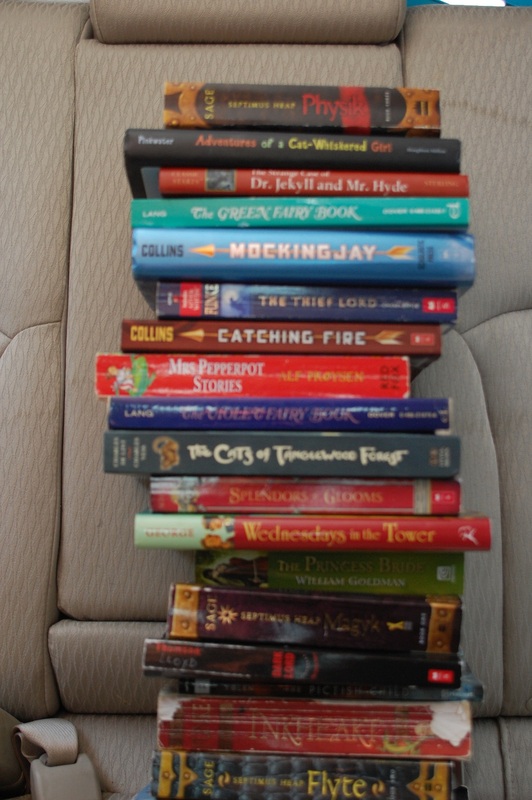 These are 20 of the books Henna has read so far on the trip! 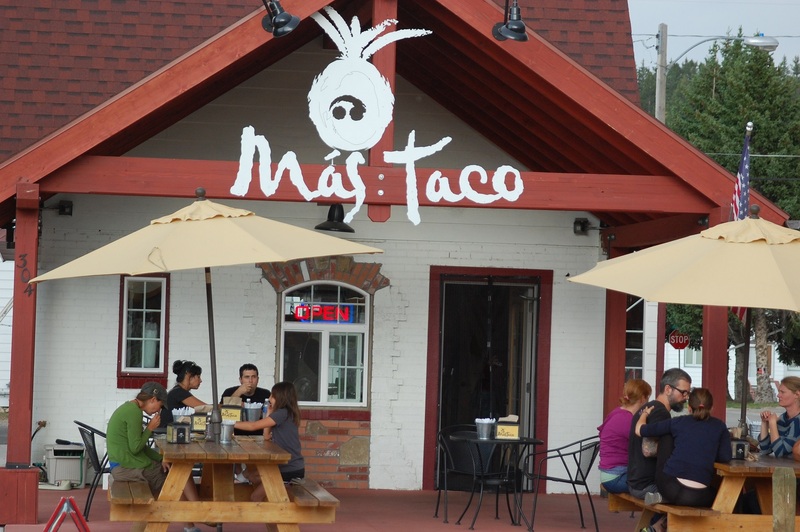 Cool Thing #31 is the nifty food truck masquerading as a diner called Mas Taco which is located in Red Lodge, Mt. 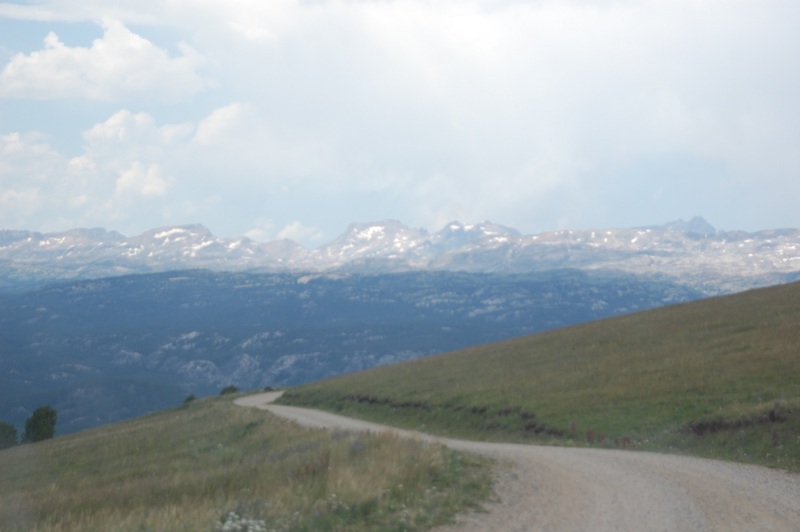 Red Lodge is, depending on your perspective, either near the end or the beginning of the Bear Tooth Highway. 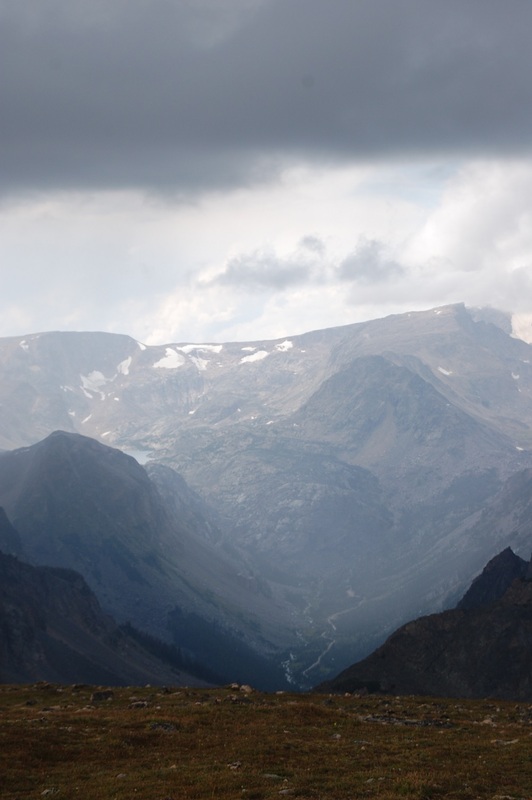 We think it is probably a lot more impressive viewed from those just beginning to climb into the Yellowstone area. 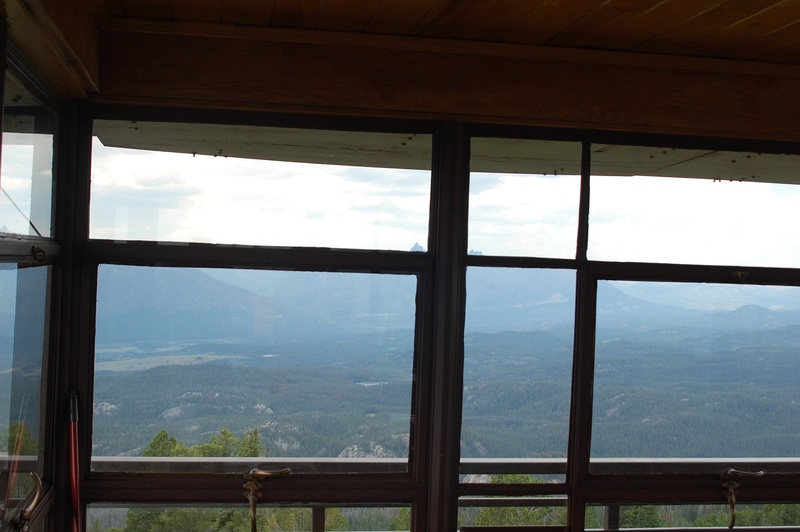 This entry was posted in Milestone Trip 2013 and tagged Bear Tooth Highway, Clay Butte Fire Tower, Mas Taco, Red Lodge by hennacornoelidays. Bookmark the permalink.